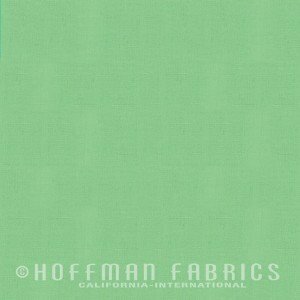 Indah solids launched by Hoffman Fabrics and Me + You promises to take solids in a new and exciting direction. Indah means ?Beautiful in Balinesse. These vivid hand-dyed are colorfast and are made with premium 100% combed cotton. They are woven with a very fin size 40 thread ensuring a very soft hand.